The Sovereign Magistral Order of the Temple of Solomon offers several different levels of engagement as members and supporters, via "The Templar Network," a mission we support, which is a developing distribution tool for our media, materials, training, marketplace and more. The Order’s Private-Member Network will also be connected with affiliated groups espousing the same values and supporting similar missions, which comprises the extended network of related service-focused and non-profit institutions and movements. This developing platform, on The P-Volt Network, features ongoing high-quality historical, scholarly and spiritual content, through fascinating articles, reports and related high-vibe & quality media content, via our own private member Network and related channels/programming. The Order welcomes those who have not yet made the decision to become an active Templar, but who wish to support the global movement to restore Templar Chivalry as the Pillars upholding civilization, while learning more about the original Templar Order. Those who choose to participate in the movement as cultural Templars (without yet formally joining the Order) are recognized as a “Templar Champion” (in the medieval sense of one who advocates and defends an honorable cause as its “champion”). The Portioning donation for Templar Champion support & participation is $11 USD monthly (with an option to pre-pay annually). You may also choose to support us as a Valiant Champion at $22/mo (see below for more info). Ready to ride as a Champion Supporter? Click the button below to begin your mission! In the medieval era, the primary and majority membership category of the Order was not Knights and Dames, but rather the “light cavalry” of Sergeants, who supported the more heavily-armed knights. The same holds true today. Women as Templar Sisters hold the direct equivalent title of Adjutante (pronounced like “debutante”). Sergeants and Adjutantes are full members of the Order, regarded equally as Templar Brothers and Sisters, in active service with full participation. They constitute a distinct class of skilled professionals, directly assisting and supporting the Knights and Dames in essential missions of the Order. Knighthood or Damehood is an official nobiliary title, which in all genuine orders of Chivalry must be earned by demonstrated merit (beyond simply joining in membership). As a Sergeant or Adjutante, you will be in the prime position to earn official status as a titled Knight or Dame in nobility, through active participation and effective service in the Order. Membership in the Order as a Sergeant or Adjutante gives you the primary body of substance and traditions of the Order contained in the Postulant Templar Studies Collection, which must be studied before your induction and installation into full Templar membership. You will also be granted full access to the Templar Network, and additionally will be given your own Personal Channel (in development) on the Templar Network, to broadcast your own content and contributions to all Templars of the Order and throughout the extended network of humanitarian institutions and movements. You will also be informed of activities and developments in the Templar Order through our regular Templar Newsletter. Click for detailed information on the Process & Policies of Membership in the Order. The Portioning donation for membership as a Templar Sergeant or Adjutante is $22 USD monthly (or prepay annually). You may also choose to support us as a Valiant Sergeant/Adjutante at $55/mo (see below for more info). Ready to ride as a Sergeant/Adjutante? This level of extra support helps to accelerate the development of the Order and its benefits to all subscribers and members. Valiant Champions and Valiant Sergeants/Adjutantes are noticed for their active engagement in support of the essential missions of the Order, as a part of their demonstrated merit towards earning official knighthood or damehood in nobility. This subscription level is well suited for prominent new members, of major achievements or capabilities which carry inherent benefits to the Templar Order. It recognizes one’s previous knightly accomplishments, and signals that the Order can expect an accelerated process of earning knighthood or damehood. This best accommodates political situations where it might not be appropriate to call the new member a “Postulant” or “Sergeant”. This level is recommended for those who: (1) intend to earn the prestigious “Donat of Devotion” status, (2) are already a nobiliary Knight or Dame of another genuine historical chivalric Order, but have not yet contributed benefits to the Templar Order, or (3) hold major Nobility status in a genuine recognized Royal House. Templar Sergeants or Adjutantes (in primary membership) can also be additionally recognized as a “Temple Guardian”, by voluntarily contributing this stronger level of monthly Portioning donations. Temple Guardians are better noticed to receive priority consideration as candidates to be invited for elevation to knighthood or damehood. The Portioning for Temple Guardian membership is $77 USD monthly (with an option to pre-pay annually). Elevation to an official Knight or Dame, occurs only with existing members who have actively engaged in cooperation with the Order, with whom the Grand Mastery and its Crown Officers have become personally acquainted. 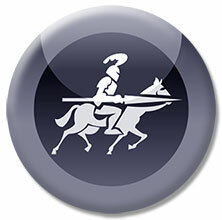 This process is unique to each individual, based upon the motivated dedication and capabilities of each new Knight or Dame in the context of their visible role in advancing the missions of the Templar Order. Accordingly, there is no method or option of applying for Knighthood or Damehood, and no automated means of subscription for participation in The Order. THE TEMPLAR NETWORK, (existing currently as our media page) designed to be an online private media network and global community platform, is still under development, with ongoing programming made possible by the monthly subscription donations. The Network multimedia platform will facilitate a community experience among Templars. It will also connect Templar supporters and members with affiliated groups espousing the same values and supporting similar missions, which comprises the extended network of related non-profit institutions and movements. One of the many powerful missions of the Order, The ACIJ is poised to defend & support Human Rights in the creation & build of the FIRST INTERNATIONAL LICENSED COURT OF HUMAN RIGHTS, dedicated to rule of law FOR THE PEOPLE, BY THE PEOPLE. We are only weeks away from this breakthrough achievement. But your help is needed to reach the goal.